On Tuesday, Congress introduced the “Protect and Serve Act,” legislation created to address violence against police. 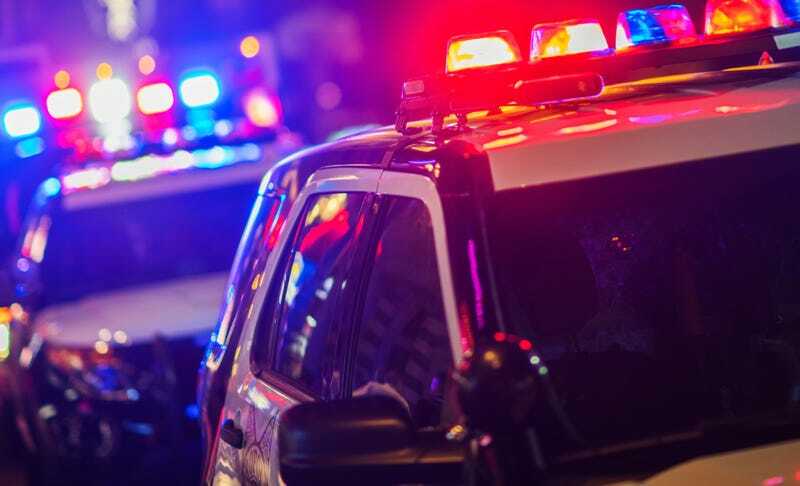 The House of Representatives and the Senate introduced their individual versions of the bill, with the Senate version designating violence against police a federal hate crime. The House version (pdf) of the bill makes it a crime to knowingly cause or attempt to cause “serious bodily injury to a law enforcement officer.” The crime is punishable by 10 years in prison. If the crime results in the death of a law enforcement officer, or the crime involves kidnapping or the attempt to kidnap or kill a law enforcement officer, then the sentence can be up to life in prison. From the outset, this type of legislation is wholly unnecessary. Police already have laws protecting them at both the federal and state levels. These bills serve only to further the myth that there is a war against police happening. This is simply not the case. The Senate version makes police a protected class, something that up until now was reserved for marginalized groups because crimes against them often went unacknowledged, uninvestigated and unpunished. There are no statistics to show that police are in any more danger now than they have previously been. There are no statistics to show that police are being attacked or otherwise harmed at higher rates. There is nothing to back the belief that police need even further special protection under the law. Exactly what constitutes violence against a police officer? Does the manner in which a police officer receives injury determine whether or not that particular instance will be viewed as a hate crime? If a police officer goes to grab your arm and you instinctively pull away, your nails accidentally scratching him or her as you do so, are you now guilty of a hate crime against a police officer? How and when will these laws be enforced, and against whom? This bill serves no purpose other than to further dangerous and divisive narratives that there is a “war on police.” The House creation of a new criminal statute for offenses against police is superfluous, given the many existing federal and state laws that protect law enforcement officers specifically. The Senate’s version is nothing short of offensive to historically persecuted and marginalized communities across this country. Federal hate crimes laws were passed to correct the centuries of inaction and injustice that too often was the response to violence based on immutable traits and identities, including race, gender, religion, sexual orientation, gender identity, and disability. This definition under no possible interpretation, could include being a member of law enforcement. Congress should vote this down quickly and decisively. Extending hate crimes protections to law enforcement officers is a profoundly inappropriate and misguided proposal for several reasons. First, police already have substantial protections under federal and state law, rendering this bill superfluous. Second, hate crimes laws are intended to extend protection to historically persecuted groups that have experienced a history of systemic discrimination based on a personal characteristic, such as race, religion, gender, sexual orientation, and disability; law enforcement officers are not a historically persecuted group. Third, this bill signals that there is a “war on police,” which is not only untrue, but an unhelpful and dangerous narrative to uplift. Fourth, bills similar to Protect and Serve that have been introduced in states around the country—so called “Blue Lives Matter” bills—appear to be a political response to the growing national movement for police accountability in the face of continued killings and assaults of unarmed African Americans; therefore, this bill is divisive and will have a negative impact on the relationship between law enforcement and the communities they serve.